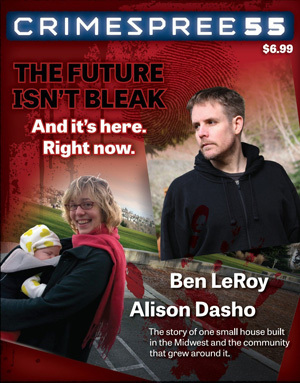 The cover feature this time around is Ben LeRoy and Alison Dasho. They talk about Bleak House, Tyrus Books, Thomas & Mercer and Down & Out Books. Jon Jordan interviews Kathy Reichs, Harry Hunsicker, Jimmy Palmiotti and Nele Neuhaus. Nik Korpon talks with Jed Ayres while Robb Olson speaks to Stephen Graham Jones. Thomas Pluck interrogates Lisa Brackman.